What a whirlwind the last few weeks have been. Since my last post, i have been feeling lighter than air, its amazing how the world seems once you make a decision straight from your heart. It wasn’t until I read Chrissy’s blog post tonight that I actually realized how calm and contented I am at the moment, and contented is such the right word! 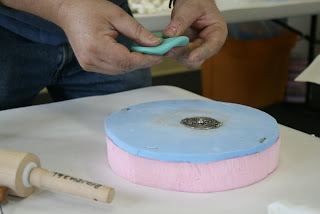 I felt something click into place when I was in the moldmaking 101 class, day one of Artfest this year. Memories of my ceramic design course at university came flooding back…and whooosh! 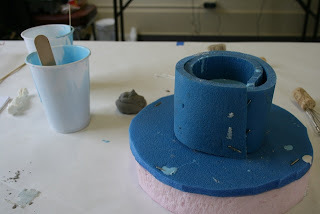 my head starting spinning with a 1001 ideas for moulds, plaster, ceramics and all sorts of other delightful materials….it was quite a bizarre experience (maybe I’d had too much coffee!) 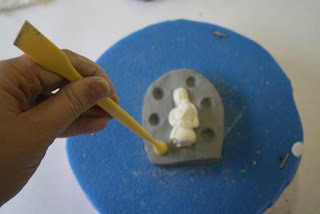 but I almost felt like my inner self left my body for a few minutes and I was replaying an old tape and watching myself from 1991 making moulds from plaster and getting all messy, feeling that…. There were only four of us in the class, but Ty Schultz was a fabulous teacher. 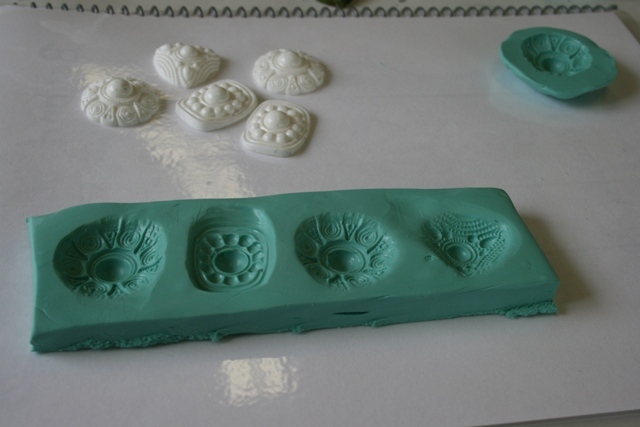 We learnt silicone molds, block and push molds…..oooh the possibilities were endless and I wanted to learn more, especially when Ty mentioned metal casting! We learnt to mix and cast plastic and silicone….Ty also told us the largest mold he’s ever had to make was of a lifesize pig and the smallest was a fruit fly! 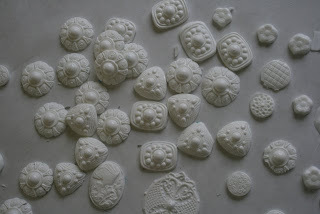 I am SOOOO excited as I now have a way to recreate some old ceramics and designs I have been longing to play with and I also created some fabulous embellishments from plastic i plan to use in my artwork. This summer is going to be the summer of discovering old creative tapes to replay in my head and finding new exciting ways to create them with my hands…. yes its very fair to say I am truly feeling contentment right now. 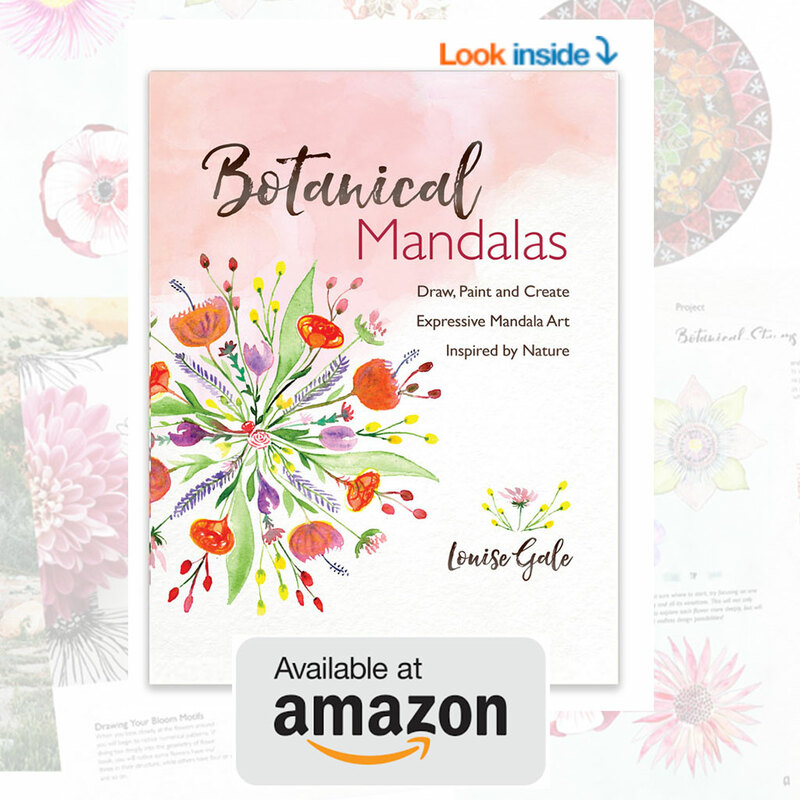 If you like to work with your hands, get messy and want to try something different, I’d highly recommend this class or something similar being taught by Ty, so also check it out for next years Artfest if you can! That sounds like a fun class! I can't wait to see what comes from it! Ty is an amazing teacher! I think he is teaching it at Art and Soul Portland in the fall… love the blog! your little treasures are FULL of possibility and i simply cannot wait to see where they present themselves in your work. 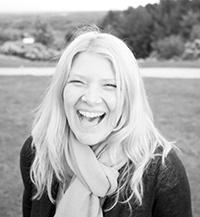 i LOVED your definition of contentment on my blog! it is so beautiful to see what brings people contentment and that when we take two minutes to think about it, sometimes we can actually discover that the life we are living is rather content already! as i'm a huge lover of old ways! big huge hugs to you! 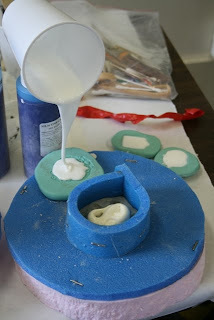 I love working with my hands and getting all down and dirty! Looks like you did too and had a bit of fun as well 🙂 I also like hearing about other classes, especially a mold making class, because we can never have enough molds, right?! ?